Diapering has been an interest for me for over 10 years, but it isn't something I have been "practicing" steadily in that time. The biggest issue for me is I mostly enjoy it when shared with a female partner, which is very hard to find. So, I figured I would post this in hope to see if I could find one! I didn't post in a specific state, as I'm open ended. I am not crazy about living in the Carolina's, so I figured id open up my search across the US. I'm 29, great career, my own place, no kids, no pets, I don't smoke or do drugs. I have a lot of hobbies, passions and interests from sports to thrift shops to 90s TV to road tripping. I'm silly yet mature, passionate, caring, honest and love to connect on a physical and intimate level with my partner. 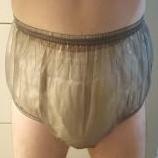 As far as the diapering goes, I love cloth diapering and plastic pants, plus any "plastic" type of clothing.coverings, onesies etc... but I don't act or play as a baby. I usually don't "use" the diapers, but I'm not opposed to it. Of course, I enjoy a female wearing them too, just like I do. The idea of changing each other and caring for one another and just being cute together while wearing them is something I've always enjoyed. So perhaps this wish could come true! I wish to keep my photos private, but you wont be disappointed. I'm 5'11, 160ish pounds, dark hair/eyes, nice arms and smile. I suppose contacting me directly here is best, and I can give you other information if we hit it off!